The food scene in North Carolina is one of the most innovative in the country. Here’s proof. I’VE WATCHED OUR LOCAL FOOD SCENE here in Asheville blow up like in no other town in America. We’ve gone from tailgate markets, underground supper clubs, “made-on-a-dining-room-table” food products (hummus, kombucha, craft beers), and a handful of small but freakishly good restaurants, and in 10 years we’ve become a culinary powerhouse, a trendsetter at the national level. The momentum is palpable everywhere you look. Cranes over downtown for new hotels (at least seven new hotels are confirmed under construction or contract since 2014). Obama calling out 12 Bones as his go-to barbecue place. Newly opened West Asheville pubs and bistros getting full print write-ups in The New York Times. Cafes such as High Five and Izzy’s opening second locations. Former self-storage and muffler-shop wastelands up Haywood Road sprouting tap-houses of locally sourced cider, vegan donut shops, and gourmet taquerias. Roots Hummus and Buchi Kombucha getting national distribution. A new food truck park opening along the French Broad River. And everyone and their brother trying to find the next golden recipe of ginger brew, wasabi, and any other food product you can imagine. We’re talking about a tourism economy — driven more and more by food — that brought in $4+ billion in 2015. And beyond this explosive localized growth, Asheville is a model of what’s going on across the state. North Carolina has developed one of the most innovative food scenes in the country — a strong example of the economic, cultural, and environmental benefits of locavorism. It all starts with our geographic diversity (Coast, Piedmont, and Mountain regions) and corresponding agricultural traditions (winter greens, pork farming, fresh seafood, etc). In effect, the modern term “locavorism” is simply the spirit of reconnecting with a concept — eating what you can grow / harvest in your own local terrain — that’s existed here for centuries. And then there’s the affordability factor. For the most part, North Carolina has an economic accessibility unmatched out West or in New York or other major cities in the North. Entrepreneurs, restaurateurs, brewers, students, and tourists, many of whom were originally from the South (along with many outsiders as well), find themselves either back here with young families or visiting here and then staying, realizing the possibility of setting up shop in Durham or Charlotte, Boone, Raleigh, Wilmington, Winston-Salem, or any of the myriad small towns and cities with both the market opportunity and low barrier of entry for their new deli, pizzeria, or crab shack. And in general, the more innovative, locally sourced, and artful the restaurant, the faster it’s embraced as part of the scene. The Scots-Irish settlers of the Appalachian Highlands brought their whiskey recipes with them. When North Carolina became the first state to enact Prohibition in 1909, many of these families turned to bootlegging, or selling unaged “moonshine.” Decades later, now-legal microdistilleries produce small-batch moonshine that you have to sip to believe their smoothness. Check this list of moonshine tours and tastings to plan your own “moonshine trail.” Here in Asheville, Troy & Sons is the local standout. Wine snobs may overlook (and totally miss out on) North Carolina’s vineyards, but an interesting fact remains: Due to our geographic diversity (the state runs from sea level to 6,000+ feet), North Carolina is the only place in the world where literally every type of winemaking grape is grown. And we have over a hundred vineyards. Highlights include Raffaldini Vineyards & Winery, Treehouse Vineyards, and RayLen Vineyards and Winery, all located in Yadkin County. Farther east, Duplin Winery is known for its sweet muscadine wines. Barbecue is a big freaking deal in NC. Up here in the Blue Ridge it’s all about the sweet hickory smoke. As you head down towards the Coast, people use more vinegary / spicy recipes and sauces. While you can find great flavor all over North Carolina, you have to dig a bit to find the true traditional preparation, or “pig pickin’” — a whole hog cooked over wood. Sam Jones’ Skylight Inn BBQ, in Ayden, and his new spot in Greenville, serve it up the time-honored way. 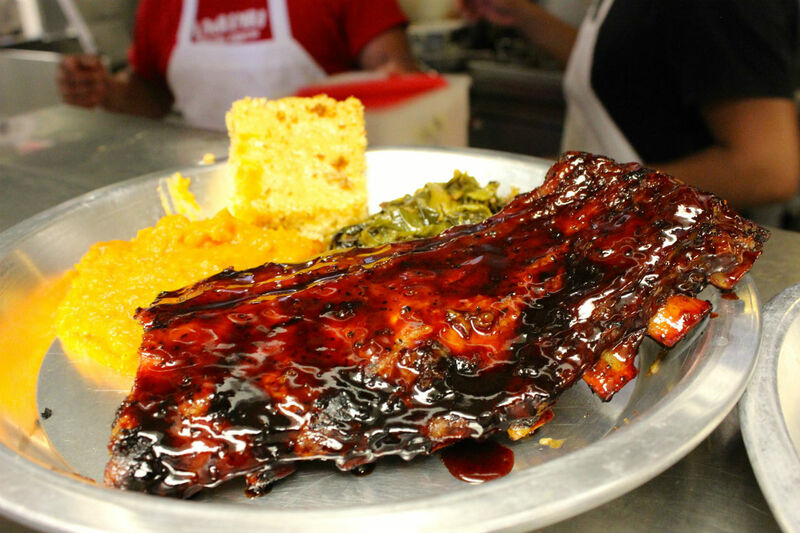 And in 2003 the Jones family won the James Beard award under the “America’s Classics” category. How many BBQ joints can say that? Asheville is unmistakably Southern, unmistakably a mountain town, but an unlikely part of our local taste is Latin, owing directly to entrepreneur and chef Hector Diaz. Starting more than 20 years ago with his first restaurant, Salsa’s, Diaz has combined flavors from his native Puerto Rico with those of Spanish, Argentine, Mexican, Cuban, and other cuisines, expanding to Chorizo and Bomba!, and incorporating lots of local ingredients, including those from his own farm. Perhaps, besides Green Man IPA and local barbecue (a tossup between Luella’s and 12 Bones), the one taste I’d most strongly associate with this part of the state is the smoked habanero sauce you find at all his restaurants. Monuts Donuts: Located in Durham. Made-from-scratch donuts and bagels (many involving crazy bacon permutations), all locally sourced ingredients…started out as donut stand operating off a tricycle at the Durham Farmers Market. Burgushi: Yes, someone did it — a fusion of burgers and sushi. The Cowfish goes off in Charlotte and Raleigh. 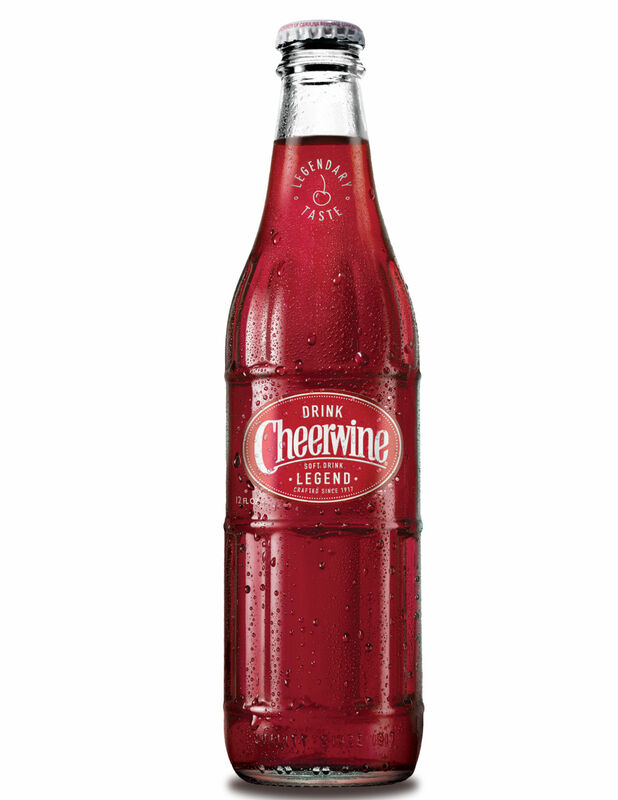 Cheerwine: “The oldest continuing soft drink company still run by the same family,” Cheerwine is a super fizzy and strongly cherry tasting soda produced since 1917 in North Carolina. It has a bit of a cult status among foodies and isn’t widely available outside of the Southeast. And, perhaps inevitably, it’s been made into a barbecue sauce. Krispy Kreme: Started in 1937 in Winston-Salem (and still based there), Krispy Kreme is like a round New Orleans beignet (the original Krispy Kreme yeast dough recipe came from New Orleans) glazed so thickly that the “Kreme” actually crunches as you bite down, contrasting with the soft pastry inside. If you grew up in the South, you probably took Krispy Kreme for granted. Cheerwine-filled Krispy Kreme donuts: Yes they exist. Someone thought of it, and apparently people have enough tolerance to sugar to actually enjoy it. And I can’t help thinking too: Somewhere across our state, somebody has thought of putting some bacon in there and turning it into a sandwich.